A Moroccan of Saharan origin, Oum immediately impresses with her remarkable combination of power and sensitivity. With her sensual voice she explores the diversity of Moroccan music that she blends with soul and Gnawa and Hassani rhythms. Inspired by the music of her native country but also by the music of the whole African continent and by Jazz, she reveals a moving, sincere and engaged personality which develops a subtle musical world in which her Saharan origins echo. After the success of her first album Soul of Morocco, Oum is back with a new album and a new show entitled Zarabi which means “carpets” in Darija – the everyday language of Morocco. During the preparation of her new album, Oum met a group of women who weave carpets in M’hamid El Ghizlan (the same town which inspired her famous track Taragalte). These weavers have a very original way of making carpets using old clothes their clients bring to them. Watching these women gathering the memories contained in the clothes from a family, a couple, a group of friends, or a single person brought together in a unique carpet, Oum immediately felt a strong link between their work and her way of writing and composing songs. There is a clear parallel between the fact of assembling, weaving, and gathering in one creation many souvenirs and emotions, and the period of creation and recording of an album. The latter is finally the fruit of a patient research into the rich and fertile experiences of the artist. Most of the songs are Oum’s original compositions, that she re-arranged herself. However there are four exceptions that confirm the freedom of expression and the boldness of this new project. The themes are varied, but are all focused on a same idea: fragile freedom. Oum claims freedom in her life, in her relationship to music, to love or to the world… in the name of this idea of freedom, she develops a thematic dear to her heart: the expression of love and desire from a loving woman, as we can feel it on the song Jini. 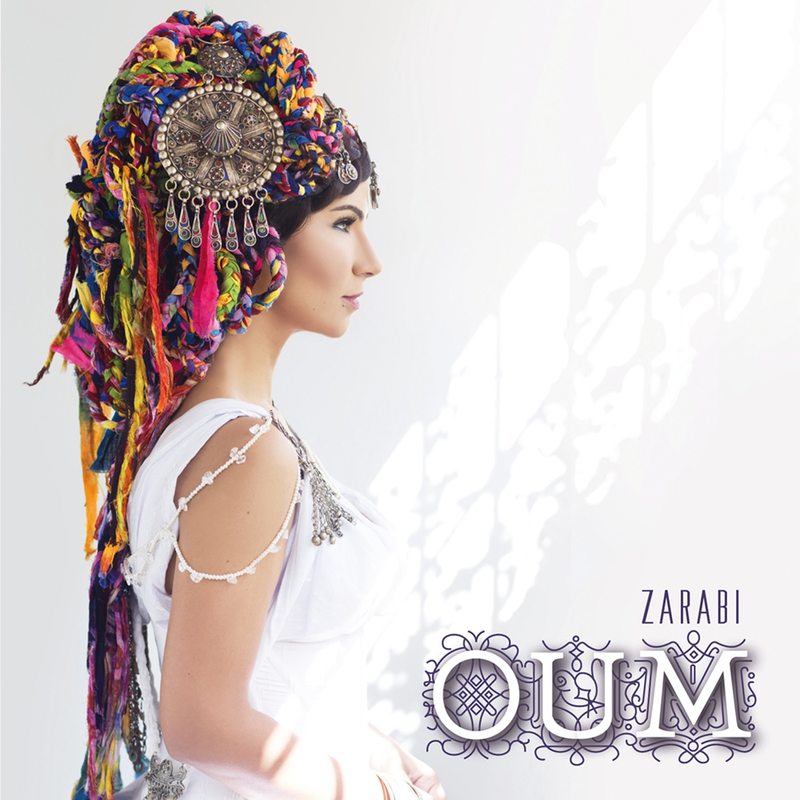 Finally, Zarabi is a witness of the diversity of the cultural and musical identities of Oum, but is above all an intermeshing of emotions, souvenirs and thoughts, gathered in a same musical elixir, fragile and powerful, intense and harmonious.